In the thousand years since Donald Trump sailed down an escalator and crash-landed with a wet thump in the Oval Office, a lot of Americans have changed, for good or ill. Many of us are more political or more cynical, impassioned or deflated, hopeful or entirely gutted. The time before this presidency can seem impossibly distant. This person has also, of course, noted Duca’s rise to viral feminist Resistance fame, and that stings too. Several of Duca’s former coworkers have come to see her newfound stardom as a referendum on the nature of viral fame itself, as well as how someone aligning themselves with the movements du jour—mainstream, marketable feminism; the more salient parts of the Resistance—can escape any real scrutiny, even as many people in media have been aware of the allegations concerning her time at Huffington Post. True overnight fame rarely exists anymore unless you murder a lot of people with a high-powered weapon or go briefly viral while drinking wine out of a Pringles can in a Walmart parking lot. But Duca achieved something like it, and the nature of her sort of celebrity—her particular path to becoming a prominent public figure, and the norms and ideas she’s chosen to critique—is key to why her alleged conduct at Huffington Post has remained such a sore spot for her colleagues. Like many people, then, the Trump era galvanized and in some ways changed her, but it wasn’t the viral gaslighting essay alone that caught the nation’s attention. In the days that followed, Duca also went on Tucker Carlson’s show and ably sparred with him, calling him a “partisan hack” and smoothly managing to avoid Carlson’s many crudely sexist jabs. I’m often praised for being so tough, and that might be what needles me most of all. I am tough, and scrappy, and angry, and loud, but what about the people who aren’t? 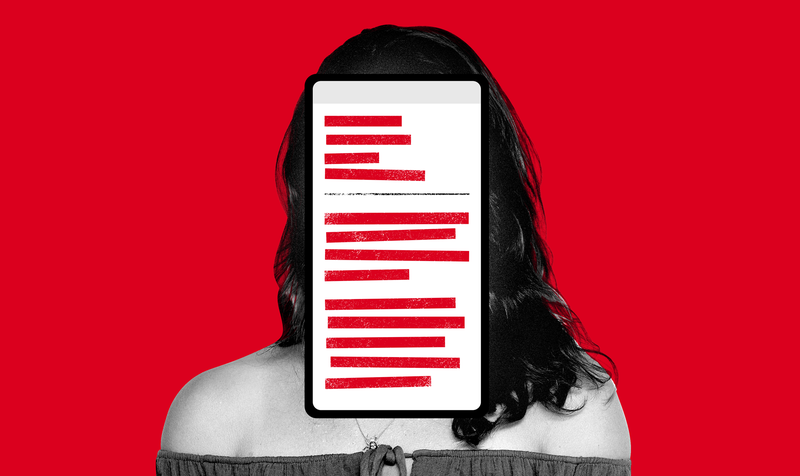 Harassment is guaranteed for women online, and a career hazard for female writers. Here’s a thought that haunts me: What about all of the young women who won’t become writers because of a fraction of what I’ve seen in my inbox this morning? I’m proud of being absurdly resilient, but I shouldn’t have to be. [W]hat helped me is admitting to myself that people saying these things hurts my feelings. I don’t have to be tougher than that; I can be resilient and power through it and defiantly express my opinion, but knowing the goal of harassment is to silence women, while it doesn’t make it easier to stomach emotionally, it does make it easier to confront. Overall, though, Duca’s level of self-regard can feel excessive and even unwise to her former Huffington Post coworkers, who began more openly talking about the email incident as the years went by. According to several people, it stemmed from—of all things—a drunken tiff at a company Halloween party in October 2015. Several people told us that in the months leading up to the email incident Duca had a growing amount of workplace tension with several of her coworkers. “There was a lot of drama,” one confirms, dryly, including both interpersonal conflicts and some amount of jealousy over the fact that Duca had been specifically plucked to write that special weekly email on pop culture. The night things came to a head was, according to those present, fueled by a toxic mix of alcohol and semi-mandatory work-related socializing. According to one former co-worker who saw things unfold, Duca confronted someone at the Halloween party—one of the people with whom she’d been semi-feuding—and demanded to know why the woman had unfollowed her on Twitter. The woman, not wanting to get into a dispute at a work event, brushed her off and walked away. Soon after, Duca left the Halloween party. Then, per several of her former colleagues, the emails began rolling in—or, more specifically, the corrections. But the emails, per the coworker, also sometimes showed what address they were coming from. As Duca’s coworkers were still mingling at the party, minus her, they got an email on a story written by the woman she’d just argued with, referring to the woman as an “overweight fake blonde.” The address it was sent from showed as an iCloud account in Duca’s name. The theory, a former co-worker tells us, is that Duca realized what she’d done as soon as she sent the emails. (Duca, again, did not respond to several requests for comment from Jezebel.) Immediately, several of her former coworkers say, Duca responded to the emails to claim she was being impersonated. “She’s like, ‘Who would ever do this? This is so fucked up,’” one recalls. Duca, her co-workers say, claimed throughout that she had been hacked. According to everyone I spoke to, the tides turned swiftly against Duca from that point on. There was, then, no love lost on either side, and by all accounts, Duca moved on to a bigger stage with some relief. The bizarre “corrections,” though, did not immediately stop. But there’s no way to know for sure where those emails came from either. From there, the matter has stewed and festered below the surface, until Duca’s unearthed, cruel tweets about fatness and community college brought the matter back to life for some of her former co-workers. Some of the media silence, surely, stems from reasonable uncertainty about whether the foibles of a relatively minor public figure are actual news or just gossip. But the fact that it continues to generate so much backchannel discussion is also an indicator that the irony of the situation has struck many journalists, at least, as newsworthy: Here is an outspoken feminist advocate and champion for social justice who’s accused of cruelly harassing other women. It would seem that many people, rather than deeming it not of interest, quite simply did not want to be the ones to make it public, possibly because of a fear of backlash or a concern about looking petty. That meant that this story has remained in far pettier realms, somewhere in the permanent churn of secretive media scuttlebutt—in secret Slack rooms and hidden Facebook groups—alongside other stories everyone is sure will someday be written and that no one is all that eager to touch themselves. But Duca’s alleged past came to light again in January (by which I mean that journalists started subtweeting about it again) when several people, including a few of my coworkers, uncovered some very old, very bad tweets from her. It was a reasonable apology. All of this, though, spurred an immediate round of rejoinders that seemed to be referencing Duca’s departure from Huffington Post. At its heart, and before we even delve into the particulars, the question of whether any of this matters depends on where you come down on several issues. Is personal growth possible without any acknowledgment of what you’re accused of having done, let alone offering an apology? Is the left unhealthily obsessed with cancellation culture and sniping at each other rather than focusing on our real enemies? Have I avoided reporting this story for nearly two solid years—despite receiving dozens of tips about it and conducting some of these interviews in the summer of 2017—because I don’t want to deal with the volcanic mess that it’s going to unleash on my Twitter mentions? These are all open questions, save the last one. I can’t speak to why no one else touched the story, but my editors and I have all shared a reluctance to report it out for years, for a complex mix of reasons. We didn’t want to punch down, as the saying goes, at a younger writer, and in my case, I was frankly reluctant to go after a woman for anything short of an egregious offense, especially a woman who isn’t an elected official or a true household name. That didn’t feel like what my job is about, and it didn’t feel like what this cultural moment is about. We’re at a point where accountability matters perhaps more than it ever has. And an era of heightened accountability means reconciling our own behavior—past and present—with our standards. It got to a point where choosing not to do this story, allowing it to remain the realm of half-known, heavily-circulated journalism scuttlebutt and shady tweets, was no longer tolerable. Even as I write this, though, I’m not entirely sure that making these allegations more visible does any good, and whether it necessarily creates a situation where reparative justice is possible. And without a response from Duca herself, though I made a sincere effort to reach her multiple times over two months, I simply don’t know how these alleged past actions inflect her current writing around power, justice, abuse, or harassment. At the same time, though, the course also promises to help students create “a concrete set of ethics for guiding radical transparency.” This seems like an unignorable irony, given the opaque circumstances around Duca’s rise and her seeming unwillingness to talk about it. As I continued to report this piece out and talk to Duca’s former coworkers, she came in for yet another round of criticism for a tweet calling Kamala Harris a “prosecutorial renegade” and dismissing the controversy over Harris’s record as a prosecutor. That point of view is, again, totally reasonable: it’s not kind or productive to simply pummel people when they’re making a sincere effort to change. At the same time, though, growth and evolution would presumably require an acknowledgment of one’s past misdeeds. And the bigger Duca’s reach has become, the more relevant the mismatch between her public persona and her past alleged behavior has begun to feel. We are all guilty, from time to time, of thinking of ourselves as the victim in situations where we’ve created harm. We are all capable of treating others badly, of doing things we’re ashamed of, and—with work and patience and the generosity of other people—of growing and learning as a result of those errors. It’s as difficult as anything in life; it’s constant, ongoing work. Making the choice to live life in public, and as a public arbiter of a certain kind of decency and ethical conduct, means that a person has to reckon with their treatment of others. The coworkers who received the emails certainly felt so; they have never understood, one told me, why Duca never addressed the matter. Many of Duca’s former coworkers see her as symptomatic of a bigger issue, and as just one of the many people that the Twitter Resistancesphere has elevated into something approaching true fame—and for whom fame is seemingly a bigger motivator than politics or social change. The ultimate issue seems a little different to me, though. At 28, Duca is fairly young, and like many young people, still figuring it all out. But due to a viral essay and the ability it gave her to project a certain moral authority, she’s been able to position herself as wiser, more ethically coherent, and more professionally skilled than she is. It’s a nice bit of sleight of hand. It’s an opportunity many people would take. It’s also a disservice to her readers, her followers, and the NYU students taking her course, all of whom deserve more candor. But it is the perfect #Resistance grift for this moment.